There were a total of 1,173 families homeless in Dublin in September – a figure that includes 2,426 children. FIGURES RELEASED BY the Government today show that there were over 1,000 families in homeless accommodation in September. The report, which is released every month, is broken down by age, gender, region, and the housing scheme under which they fall – and shows a rise across all demographics. Figures show that there were 4,283 adults, 1,173 families and 2,426 children sleeping in emergency accommodation in September of this year, representing an increase of almost 100 families compared to August. The Government introduced ‘Rebuilding Ireland – an Action Plan for Housing and Homelessness’ in July of this year with the aim of “tackling homelessness in a comprehensive manner” through increasing the housing supply and a number of other proactive measures. “For example, during the course of 2015, housing authorities assisted in 2,322 sustainable exits from homelessness, i.e. into independent social housing or supported private rented tenancies. “More than 1,350 exits were achieved nationally in the first half of this year and in Dublin a further 411 exits have been achieved in the third quarter. “A total of 1,761 exits nationally,” according to the Department. “I have said that it will take time to turn the tide on homelessness for both families and individuals,” added Minister for Housing Simon Coveney. He added that “these figures do not include those sofa-surfing or those refused access to emergency accommodation despite having no home of their own. 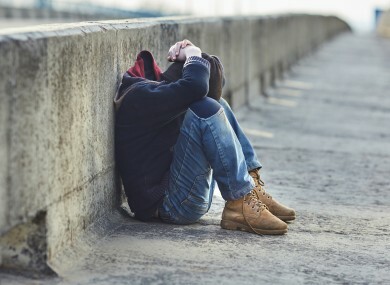 Focus Ireland said that while it is supporting at least one family to move on from homelessness every day this year, the reality is that inadequate prevention strategies means more than one other family becomes homeless that same day. Our frontline staff have seen first-hand that the two key reasons families are becoming homeless is one, landlords are selling up and getting out of the business, and two, rising rents. Email “Housing crisis: Number of homeless families in Dublin exceeds 1,000 mark”. Feedback on “Housing crisis: Number of homeless families in Dublin exceeds 1,000 mark”.